please email [email protected] or call 0207 199 8370. 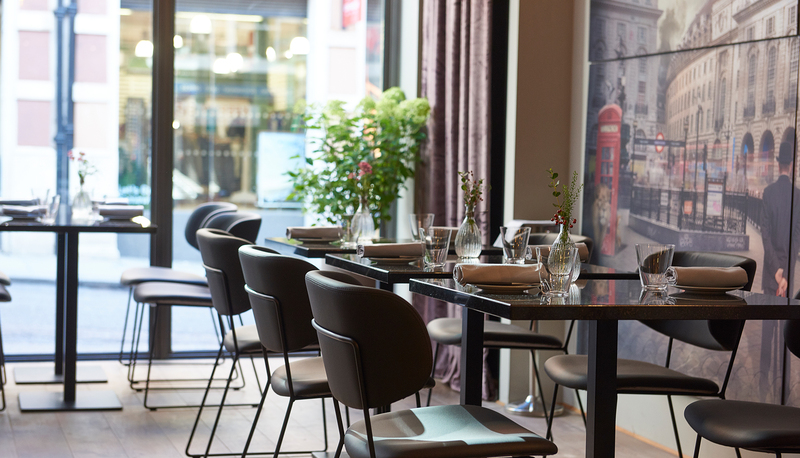 Renowned chef, Adam Handling, has extended his culinary empire with his flagship restaurant, Frog by Adam Handling. 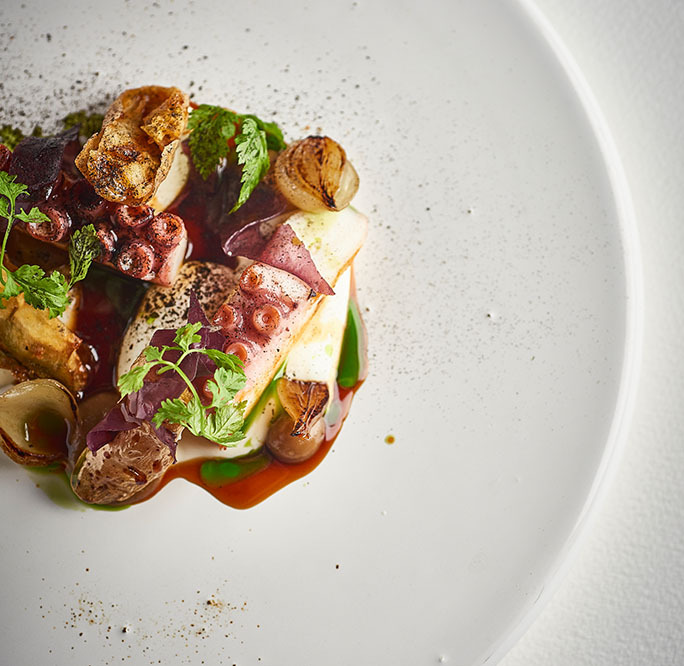 The dishes served at the restaurant showcase Adam’s deliciously recognisable cooking style, combining technical savvy with the freshest seasonal produce, to deliver an elevated experience. 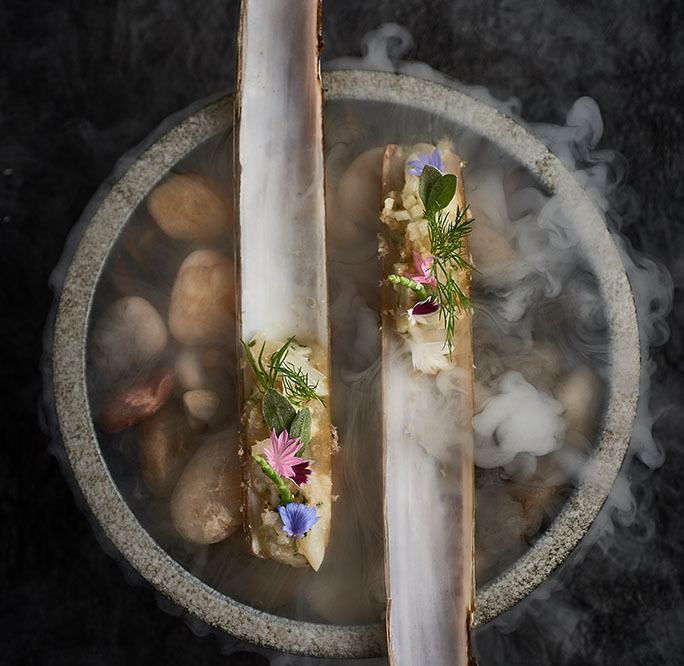 Combining technical savvy with the best possible produce and a lightly theatrical touch, the menus at Frog by Adam Handling change regularly to ensure the guest experience is constantly evolving. Our sample menus are available below. 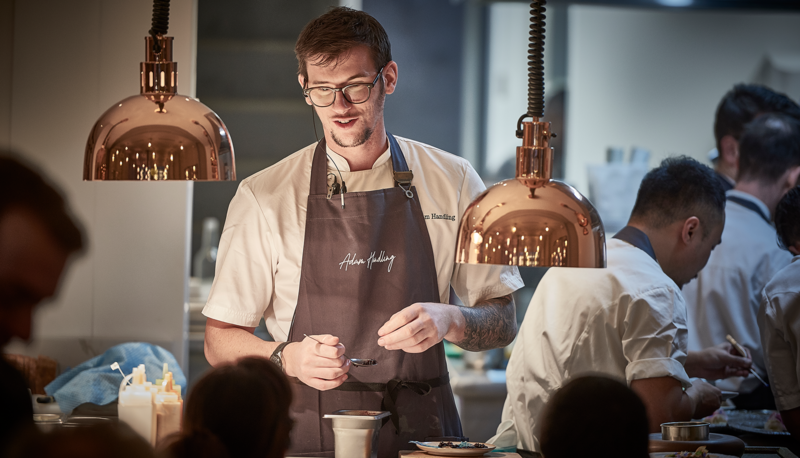 A highly accomplished chef, Adam Handling brings his love of intense flavours and delicate techniques to his kitchen. 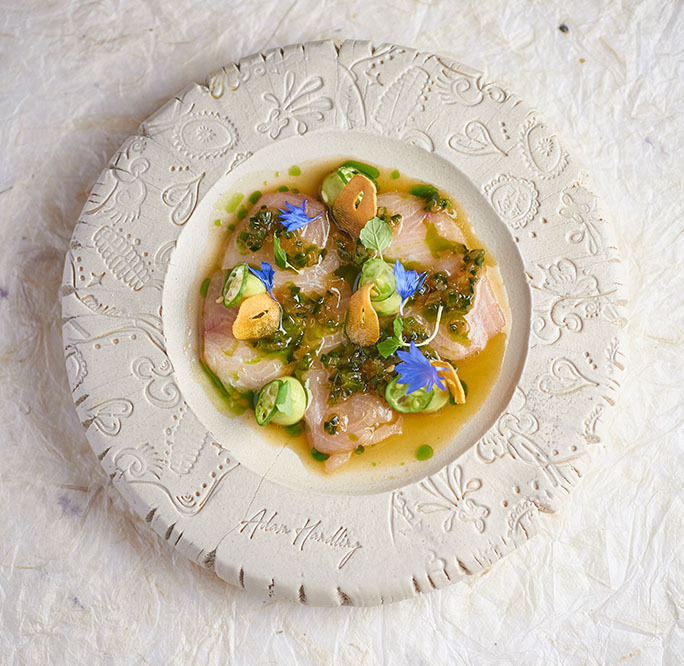 His beautifully presented dishes start with careful sourcing of top quality, seasonal ingredients, prepared in a number of different, creative ways to enhance their inherent properties and deliver real depth of flavour and harmony. Our restaurants are the perfect locations to host a variety of events, from corporate events to birthdays. Have a look at our brochure below, and email [email protected] or call 0207 199 8370 if you would like to discuss availabilities. 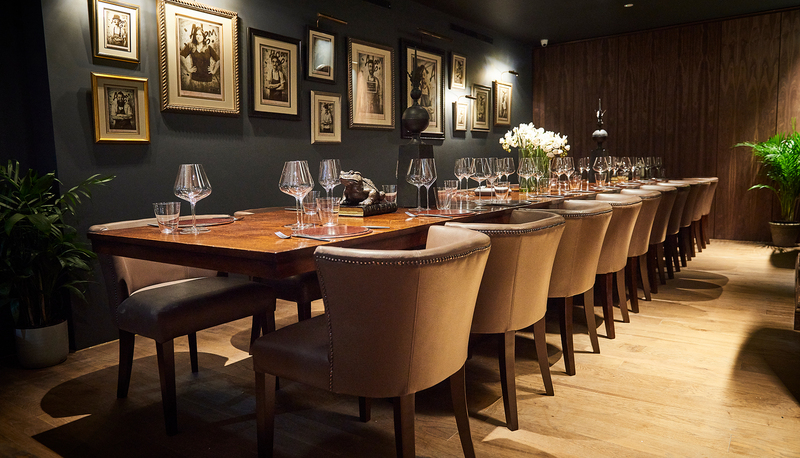 For smaller parties, we would be delighted to welcome you in Private Dining Room, located under Frog by Adam Handling in the very heart of Covent Garden. Complete with its own kitchen, the 20 seat dining room boasts a range of bespoke furnishing giving it a completely unique feel. 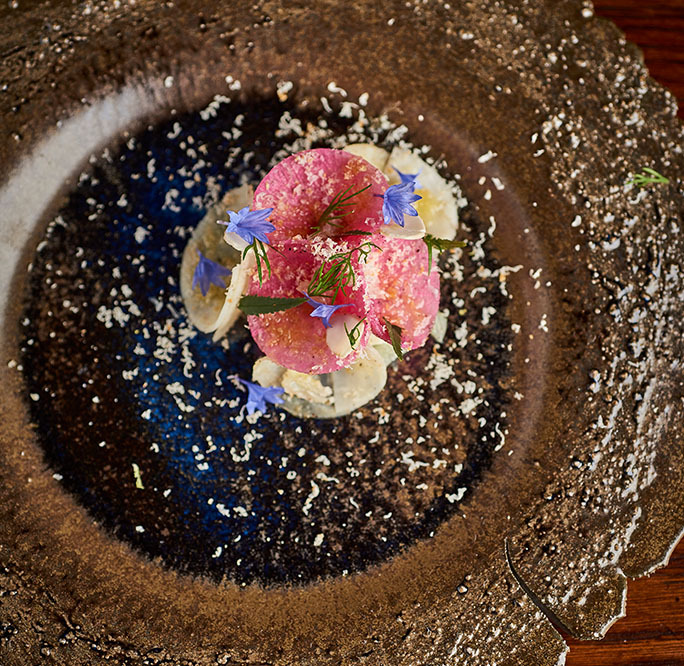 Chef Adam Handling combines technical savvy with the best possible produce and a lightly theatrical touch. 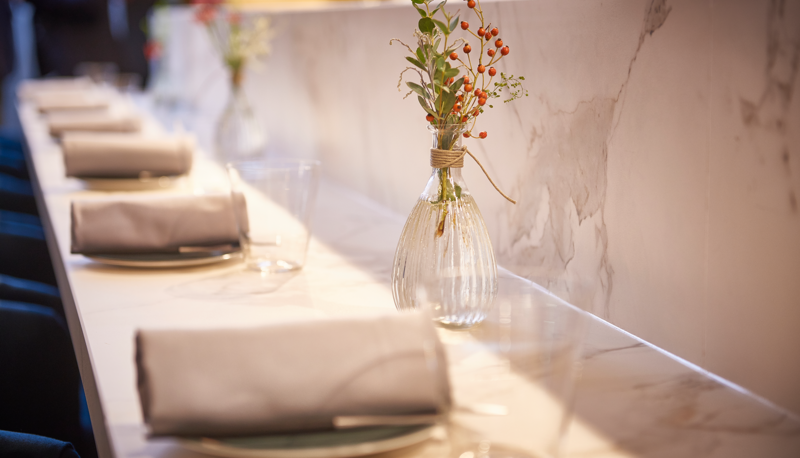 The menus change regularly to ensure the guest experience is constantly evolving. 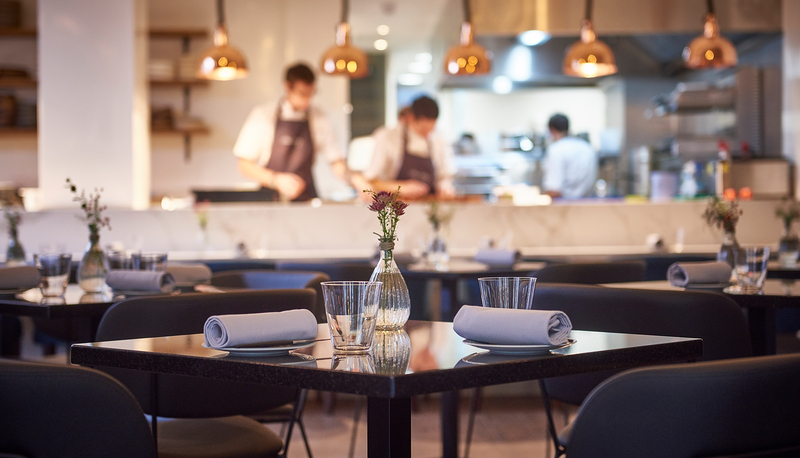 The basement of the restaurant is home to Chef Adam Handling’s first venture in the bar arena, Eve. Eve combines life’s greatest impulses – temptation, indulgence, and hedonism – all homed in luxurious subterranean surroundings. Eve offers an array of cocktails exclusive to the bar, carefully curated by Adam and Bar Manager Tim Laferla. Also available is a varied selection of wines from all corners of the winemaking world, sourced by Head Sommelier Kelvin McCabe, and craft beers, including Adam’s very own Frog session IPA in collaboration with Brewheadz.